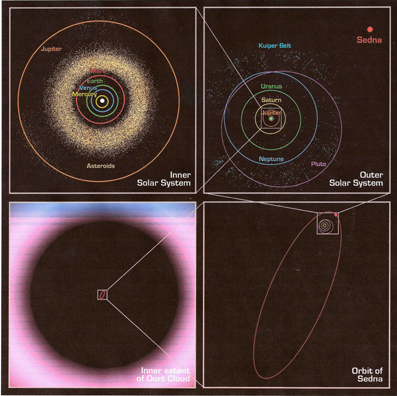 These are pics showing the crossing point of the ecliptic, the path of the sun, and the galaxy. The center of the galaxy is a gigantic black hole. This is an art piece I worked on during the month of December 2012 for a show at Arts Worcester. 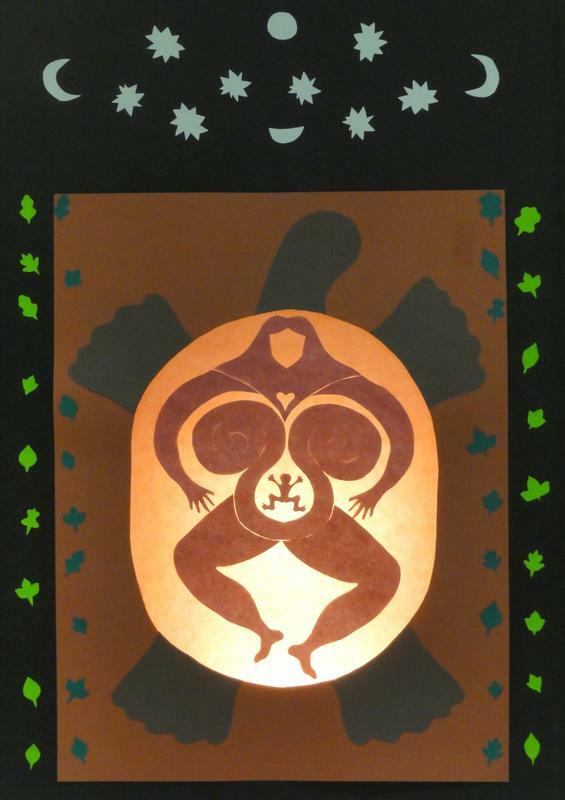 I call it 'Mother of the World' because this is a time our galaxy mother, from her giant black hole womb is birthing another world. She is grounding the energy in a turtle form, mother earth. Green living leaves accompany her and stars and moons shine above. 13 moons are in one cycle of the sun year. The extra day makes the moon energy cycle like a spiral. Many cultures name their moons by seasonal activities. Many holidays are based on moon cycles including Chinese New Year and Easter. 2013 is the year of the moon. Going outside and checking out the moon is the best way to tune in. 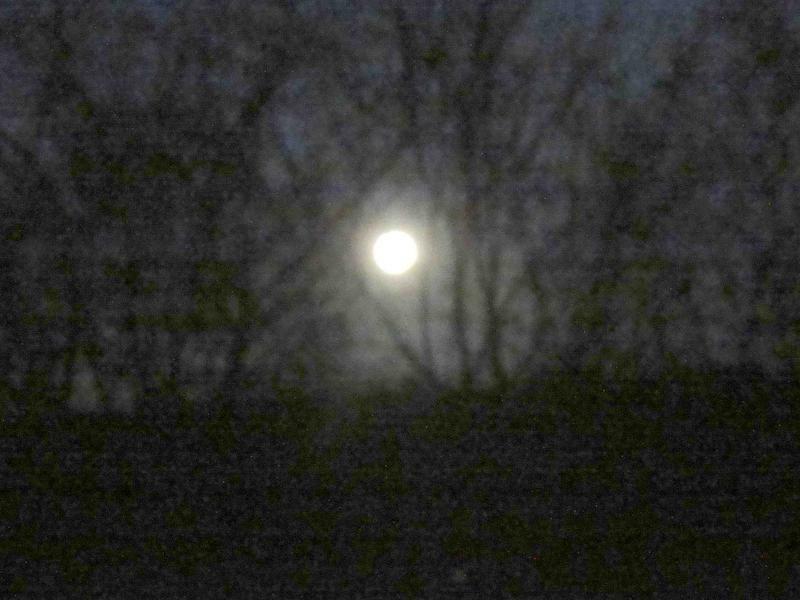 The full moon was just this last weekend- January 26, 2013. Powerful time, strong moonlight. 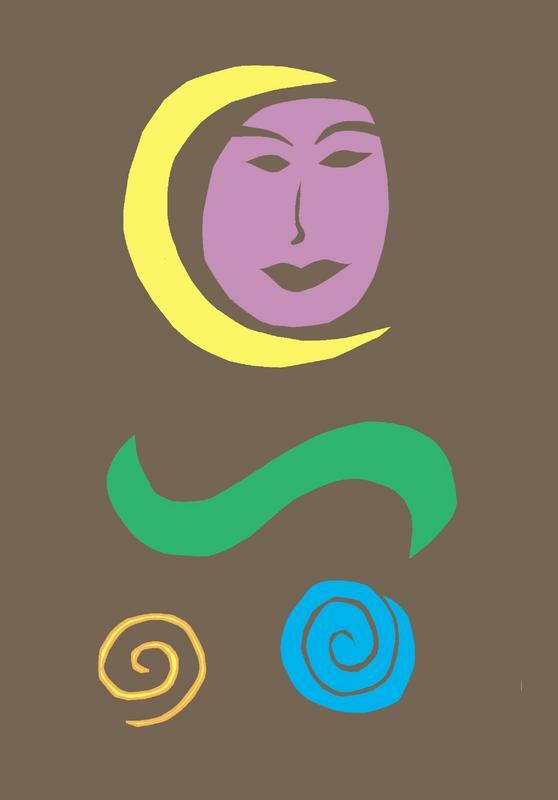 The Lunar Calendar shows each lunar cycle as a spiral whole and shows the exact moon cycle phase for each and every day and gives the time of moon rising and setting, as well as having poems and graphics to help you with the total awesomeness of following a moon cycle. 2013 is a time to celebrate the moon. Half way between solstice and equinox is a day sometimes called a cross quarter day. It is celebrated around February 2. Various celebrations include: Candlemas, Groundhog day, Saint Blase day, or Imbolc. The good news is that finally we can see and feel the sunlight increasing every day. We are heading toward the equinox when the amount of sunlight each day is exactly the same as the amount of darkness for each day. Imbolc is celebrated in Europe and Bridget, a Celtic Goddess, invites creativity to lead the way. Groundhog day is a reminder of times past when measuring shadows was a way of telling of the lengthening and shortening of daylight. It is also a reminder of our hibernating friends keeping the dream time alive for all of us. In today's word it is marked by Super Bowl Sunday when everyone gets together to watch a game and cheer. Although in the thick of it for winter, we know it will not last forever. The Chinese New Year ! It will be celebrated the new moon on February 10, 2013. It is the year of the snake!! 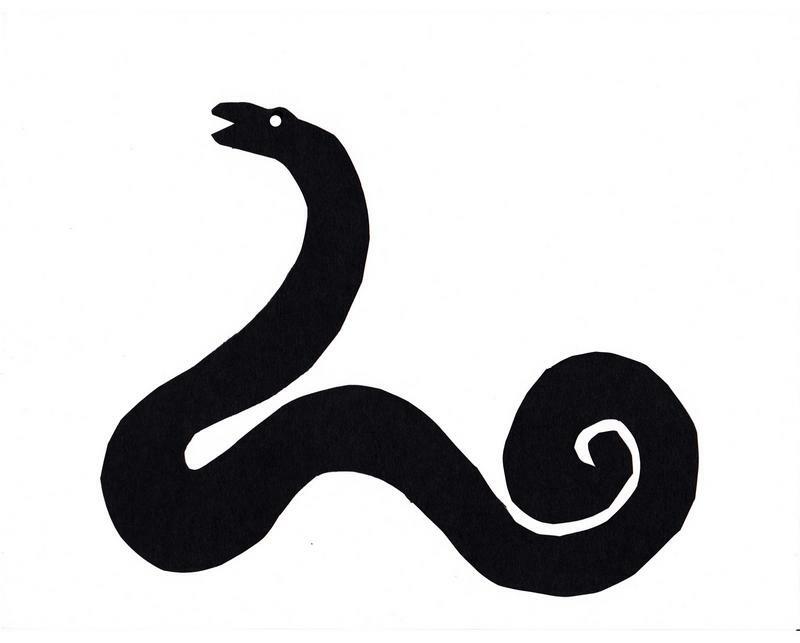 The snake is a powerful ally for me. One year I finally went on a big trip to see the Serpent Mound in Ohio. When I came home, I found a beautiful six foot long discarded snake skin across my art studio wall. While I was gone a snake had come and left this amazing gift. Snakes shake out of their skin when they need to release an old life. When they do this they are totally blind and very vulnerable. Then they are able to grow bigger and grow a new skin. 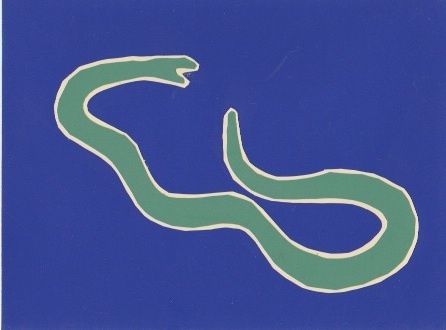 In this year of the snake we are being asked to shed that which we no longer need. Let go and give yourself room to grow in new ways. Feeling vulnerable is part of the growth process. 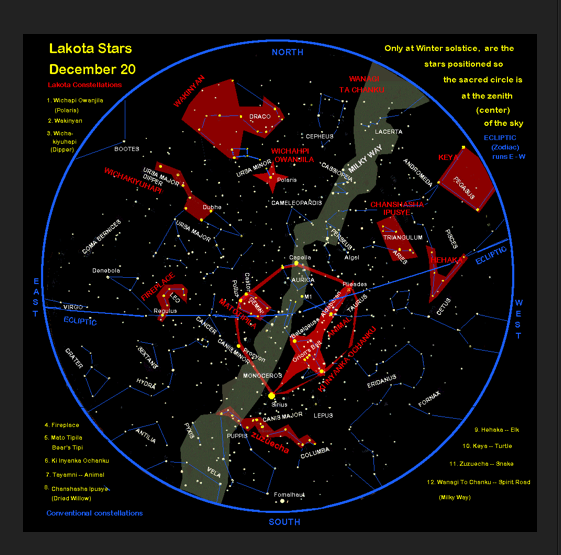 This is an interesting Lakota Star Constellation to watch in the sky. In January you will see this constellation in the southwestern sky in the evening and the three stars are pointing up. In the early fall the three stars are in a vertical line in the eastern sky. Look for the three stars of Orion's belt. Follow the stars up to the Pleiades. For those with good eyesight, the Pleiades is a very tiny dipper. 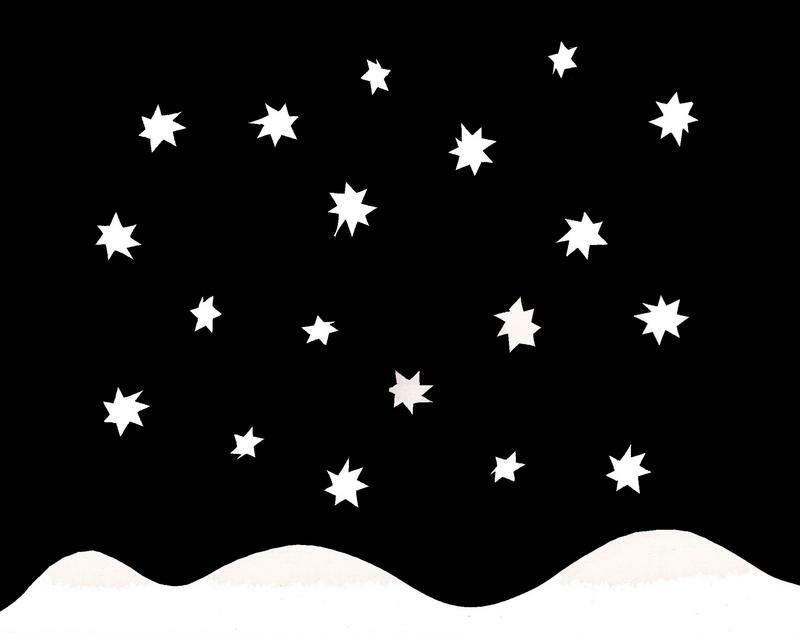 Follow the three stars down to find Sirius, the brightest star in the sky. Notice that the three stars are bordered on one side with Betelgeuse and the other with Rigel. 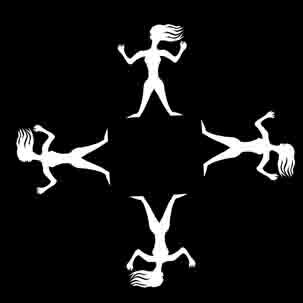 These six stars and with the Pleiades, as a cluster of seven stars as the head, form a sky being. 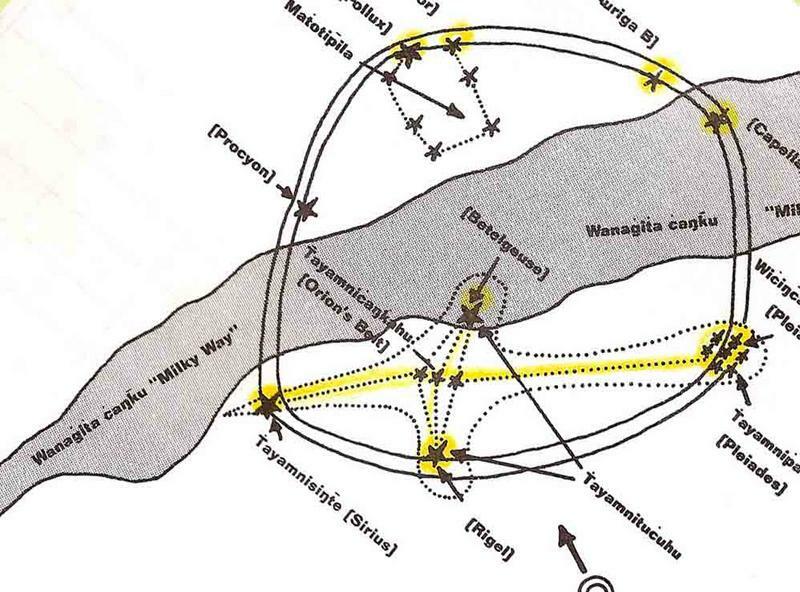 Notice Betelgeuse is part of the Milky Way and Rigel is part of the large hoop or ring. Sirius is one of the bottom stars of the large ring. Find Sirius again and look up to the left and find the two outer stars of Gemini, a very rectangular box kind of star grouping. Then look up around the top to Capella and the Pleiades and then down around to Rigel and Sirius again. This forms a very large oval shape and is a good way to orient yourself with the night sky. The line that is formed with the three stars, the Pleiades and Sirius is parallel to the Milky Way. 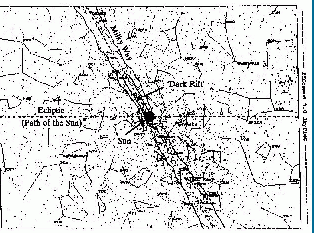 It is easy to see where the crossing of the ecliptic and galaxy is with this as a guide. This will be a very interesting sky being to watch in the coming months. 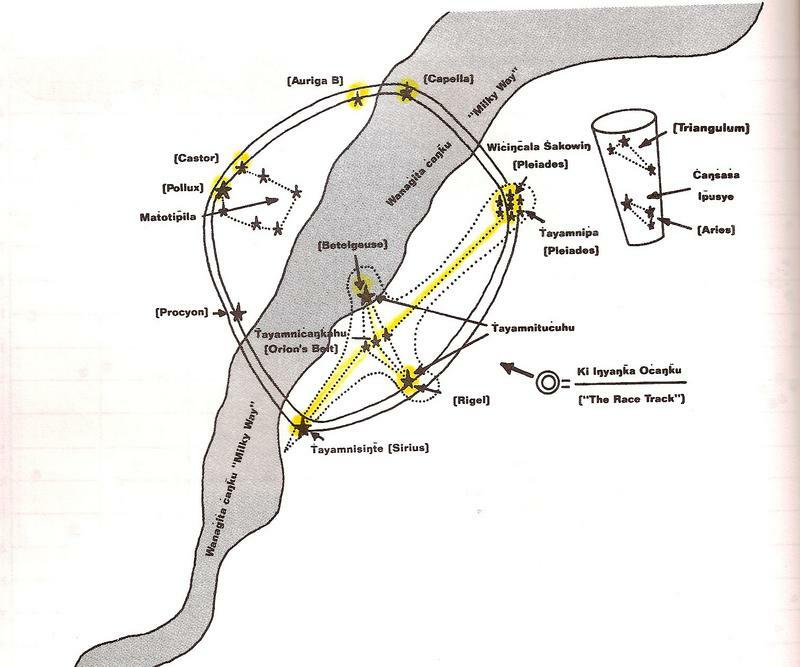 Another is a meteorite impact crater site is next to Serpent Mound in OH. Sedna is the new trans-planet recently discovered and named. It is the first planet named after a Native American goddess, and it is located way beyond Pluto. She has a 10,000-year orbit, so the last time she was around was the last ice age. She spends a lot of time way out in deep cold space. In this time of great windstorms and uncertainty with the future of ocean life, Sedna is the name chosen for a small new planet of the outer solar system. Out in the very depths of the cold, Sedna transforms shrieking grief into new life. 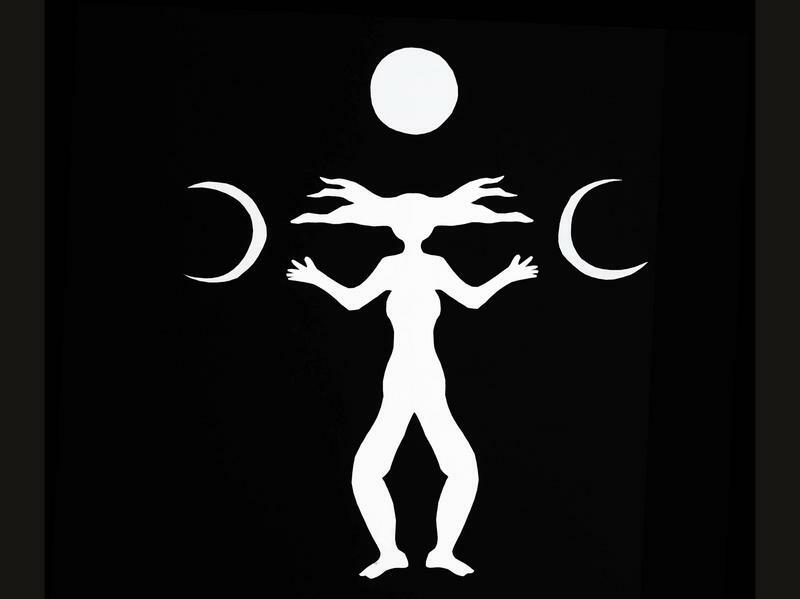 Sedna, a woman's energy, asks us to look at relationships with males in our lives and examine our expectations and disappointments. 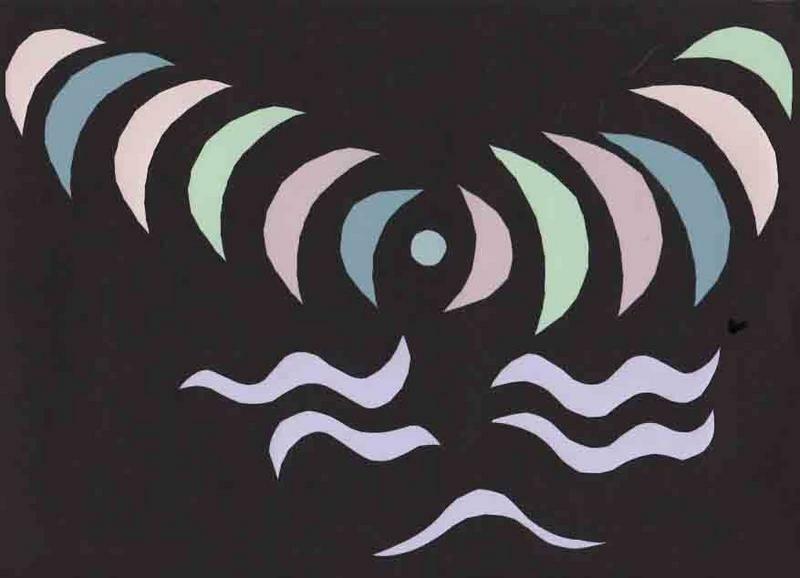 Sedna's presence at this time to help us recognize the transformation needed on a personal and global level. 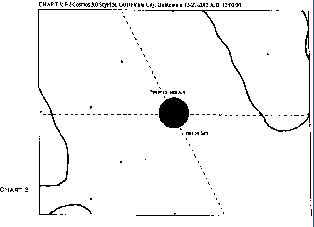 Sedna, was discovered in the sky on November 14, 2003. Announced, made public, March 15, 2004. In between these two dates was the X-mas Tsunami of 2004. And after, the September 2005 New Orleans Katrina. 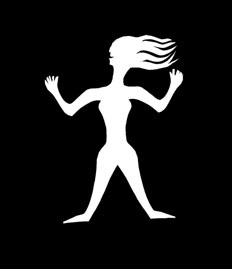 Sedna is a woman of violent seas and storms. Rediscovering this 10,000-year orbit planet of Sedna seems fitting. 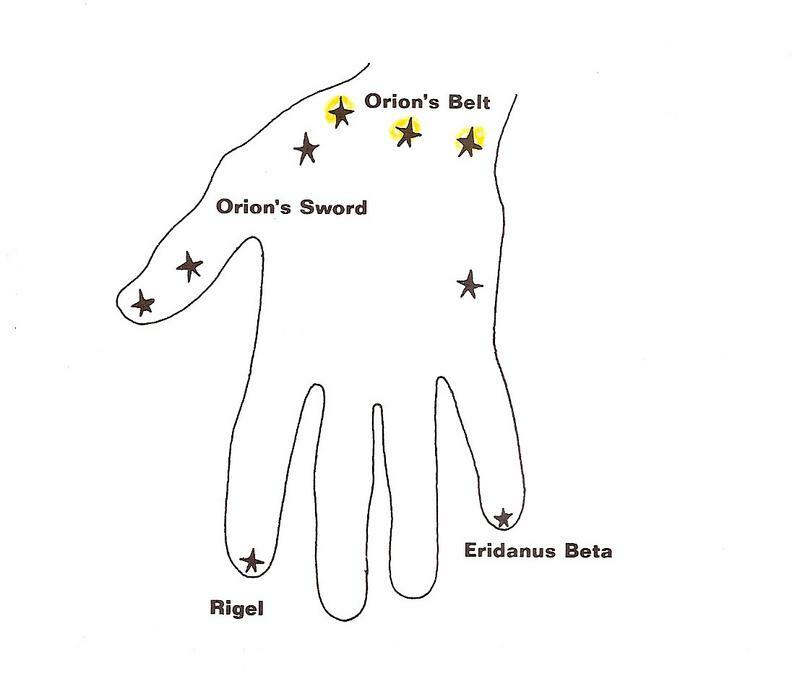 Another more common way of looking at the three stars is as Orion's Belt in the Orion Constellation. 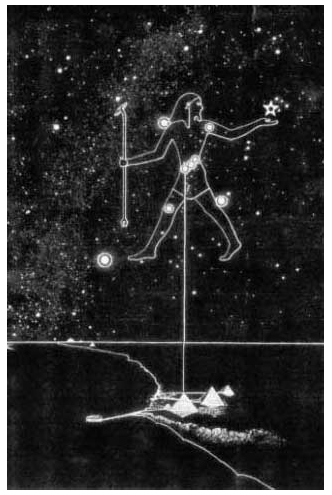 In this picture, Orion is Osiris. Note the three stars making his belt. If you follow these three stars as pointer stars you will find the Pleiades when your eyes move upwards. If you follow the three stars in the other direction you will find Sirius or Isis, the brightest star in the heavens. The three pyramids in Egypt are models of the three stars. They replicate the magnitude by size and alignment by placement on the earth. 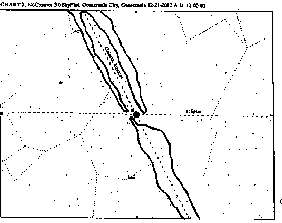 The Nile River is aligned with the Great Milky Way at important times of the year. . 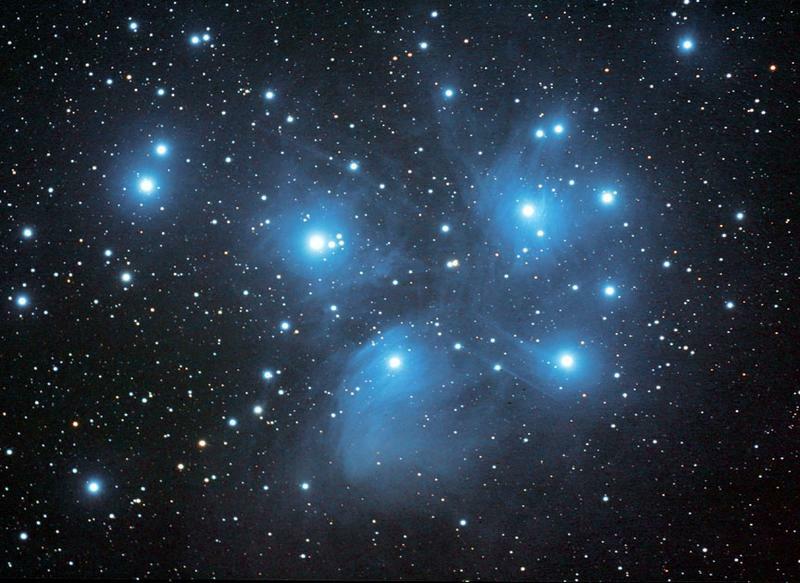 The Pleiades are often referred to as seven sisters and it was often a check on eye sight to see how many you could see. The names of the seven stars in Greek mythology were Sterope, Merope, Electra, Maia, Taygeta, Celaeno, and Alcyone. Alcyone is the Alpha Star and most easily noticed. Their parents Atlas and Pleione are also stars of the cluster. 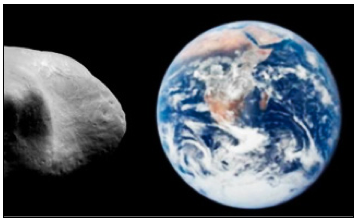 Atlas was a giant who held up the world and Pleione was known to protect sailors. In reality over 400 stars make up this star cluster. There are many legends and stories about the Pleiades in many different cultures around the world. The stories often have to do with timing with the rising and setting of the star cluster. For instance Verranzo when visiting North America for the first time in the 1500's noted the Narragansett Tribe's use of the setting of the Pleiades as the time to begin the planting season. This beautiful image of the Pleiades cluster was produced by David Malin of the Anglo-Australian Observatory and is the copyright of the Anglo-Australian Observatory and the Royal Observatory, Edinburgh. 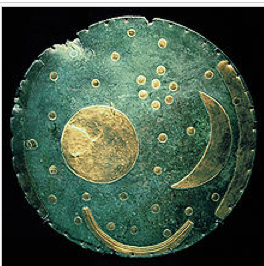 The Nebra Sky Disk is over 1600 years old and was found in Germany. 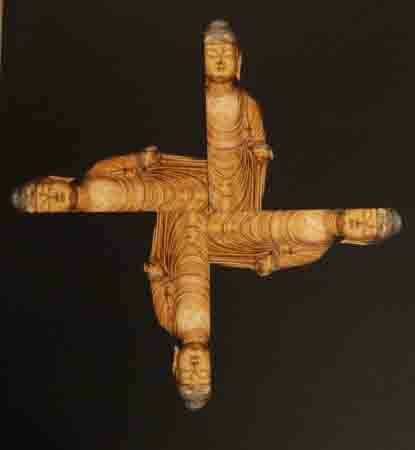 It is interpreted to be one of the earliest sky maps. Note the crescent moon shape and full moon or sun shape circle. The seven stars between these two shapes are generally interpreted to be the Pleiades. The bronze disk with a blue-green patina has overlays of gold and is about 30 centimeters in diameter. 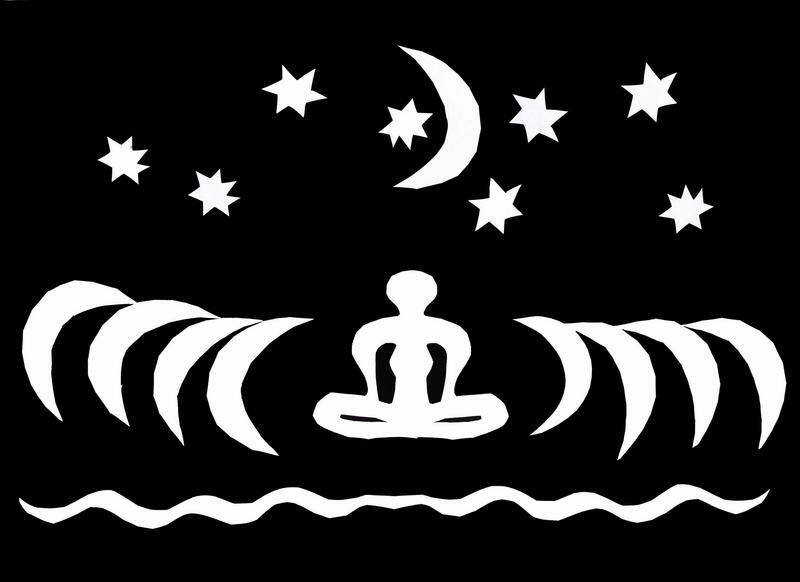 Right now in India there are pilgrimages to the Ganges River. In China there is a dragon dance and firecrackers to celebrate the lunar new year. The Chinese system roughly corresponds to the planet Jupiter which travels in 12 year cycles. In the spring this oval Lakota constellation is parallel to the horizon in the western sky; the three stars pointing to the Pleiades make a line right above the horizon. Soon this line will 'sink' below the horizon and disappear. There is a 'hand' constellation with the three stars making up the wrist that shows this 'sinking'. In mid may the Pleiades sink below the horizon line. In ancient days this was carefully observed as a sign to plant corn. In a few weeks the Pleiades 'rise' and are seen again in the eastern sky right before dawn. There are two partial full moon eclipses surrounding a total new moon eclipse this coming eclipse season which started with the first partial full moon in April 2013. So many people took photos of this moon, so many were tuning in. The sun and moon line up with the nodal axis, and the sun is digested by the lunar being. 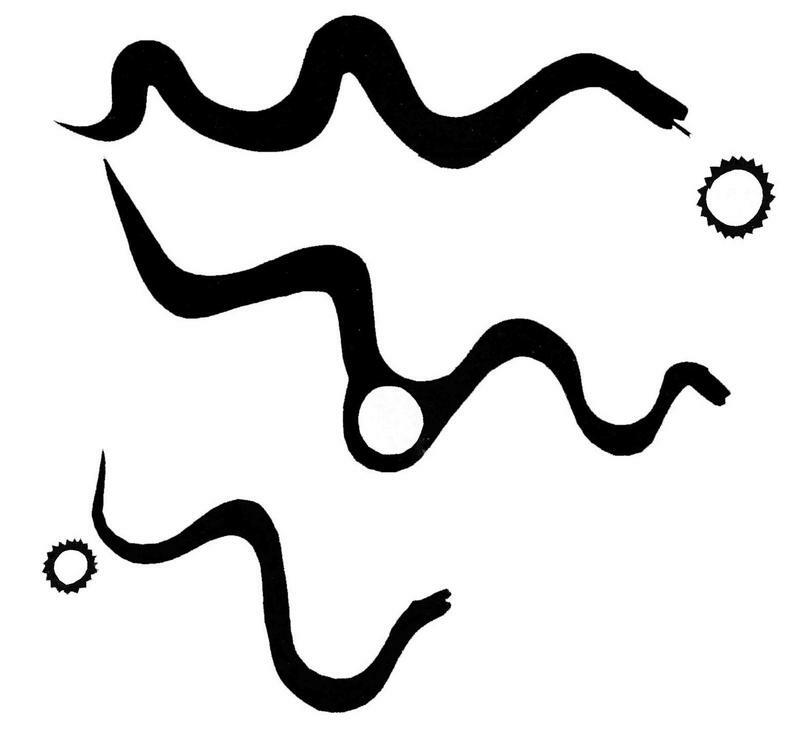 The nodal axis has a snake head for the north node and a snake tail for the south node. The total new moon eclipse will be on May 9. 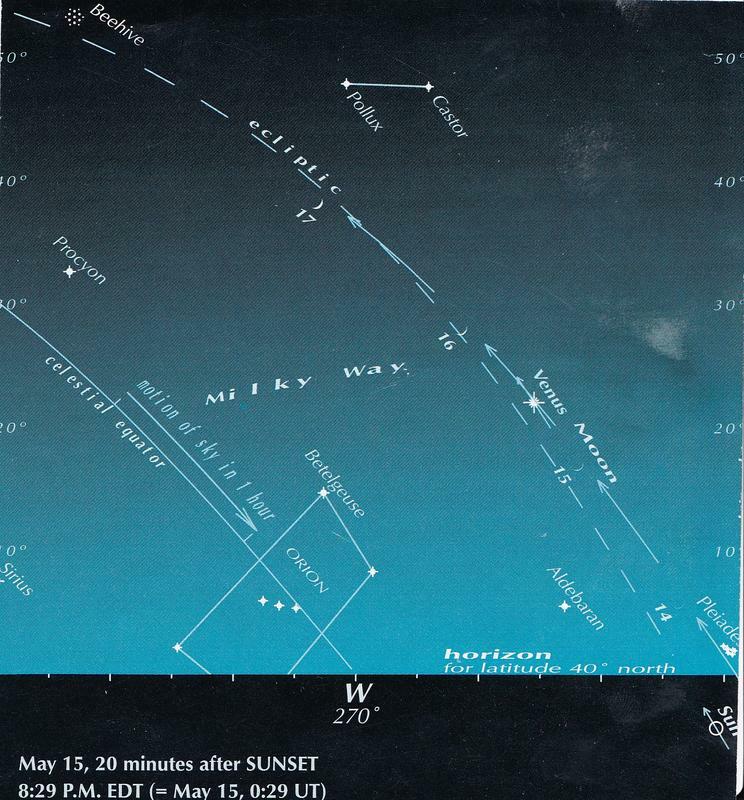 Also look below for Pleiades setting in western horizon mid May also. 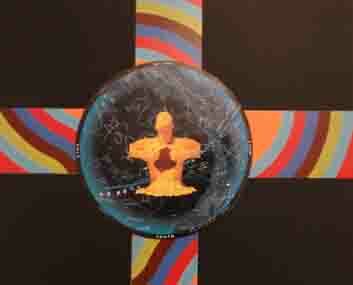 The Cardinal Cross series celebrates the Uranus Pluto square currently happening in our sky. Summer solstice full moon at perigee, closest to earth, sometimes referred to as a super moon. 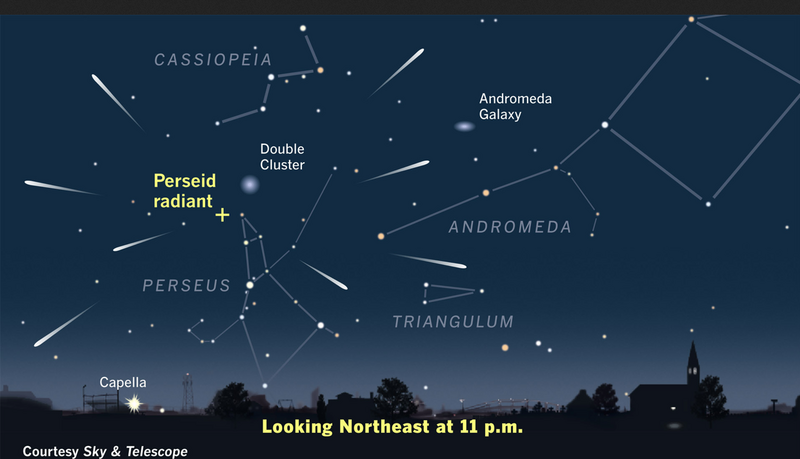 The Perseid Meteor showers peak at around August 12-13. The shooting stars appear out of the north east and shoot toward the southwest, Contantowit's house. Live Sky is a project to encourage everyone to go outside and interact with the sky as often as possible. Many times we get caught up with interacting with stars on the TV, we easily forget about the stars appearing every night up in our sky. Watching the moon in all her phases, and checking out planets is also fun. Scroll down to see more info and also check on updated pages.